To say it’s been a busy month for AMD is probably something of an understatement. 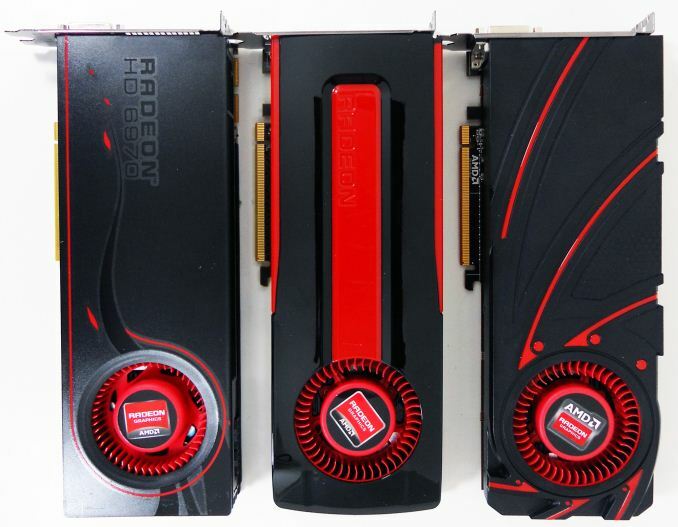 After hosting a public GPU showcase in Hawaii just under a month ago, the company has already launched the first 5 cards in the Radeon 200 series – the 280X, 270X, 260X, 250, and 240 – and AMD isn’t done yet. Riding a wave of anticipation and saving the best for last, today AMD is finally launching the Big Kahuna: the Radeon R9 290X. The 290X is not only the fastest card in AMD’s 200 series lineup, but the 290 series in particular also contains the only new GPU in AMD’s latest generation of video cards. Dubbed Hawaii, with the 290 series AMD is looking to have their second wind between manufacturing node launches. By taking what they learned from Tahiti and building a refined GPU against a much more mature 28nm process – something that also opens the door to a less conservative design – AMD has been able to build a bigger, better Tahiti that continues down the path laid out by their Graphics Core Next architecture while bringing some new features to the family. Bigger and better isn’t just a figure of speech, either. The GPU really is bigger, and the performance is unquestionably better. After vying with NVIDIA for the GPU performance crown for the better part of a year, AMD fell out of the running for it earlier this year after the release of NVIDIA’s GK110 powered GTX Titan, and now AMD wants that crown back. We’ll dive into the full architectural details of Hawaii a bit later, but as usual let’s open up with a quick look at the specs of today’s card. Hawaii is a GCN 1.1 part – the second such part from AMD – and because of that comparisons with older GCN parts are very straightforward. For gaming workloads in particular we’re looking at a GCN GPU with even more functional blocks than Tahiti and even more memory bandwidth to feed it, and 290X performs accordingly. 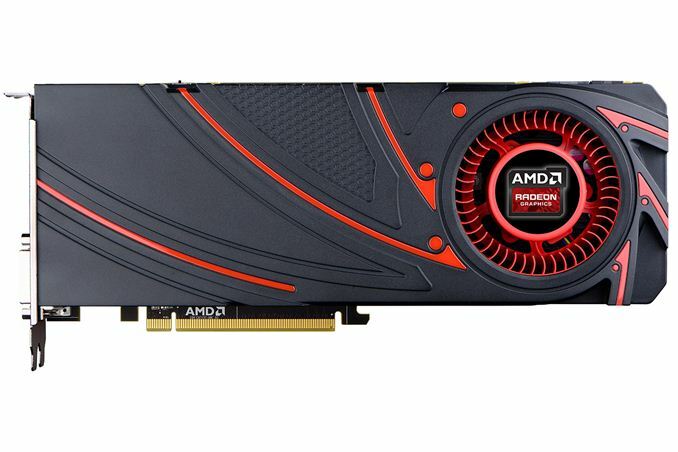 Compared to Tahiti, AMD has significantly bulked up both the front end and the back end of the GPU, doubling each of them. The front end now contains 4 geometry processor and rasterizer pairs, up from 2 geometry processors tied to 4 rasterizers on Tahiti, while on the back end we’re now looking at 64 ROPs versus Tahiti’s 32. Meanwhile in the computational core AMD has gone from 32 CUs to 44, increasing the amount of shading/texturing hardware by 38%. On the other hand GPU clockspeeds on 290X are being held consistent versus the recently released 280X, with AMD shipping the card with a maximum boost clock of 1GHz (they’re unfortunately still not telling us the base GPU clockspeed), which means any significant performance gains will come from the larger number of functional units. With that in mind we’re looking at a video card that has 200% of 280X’s geometry/ROP performance and 138% of its shader/texturing performance. In the real world performance will trend closer to the increased shader/texturing performance – ROP/geometry bottlenecks don’t easily scale out like shading bottlenecks – so for most scenarios the upper bound for performance increases is that 38%. Meanwhile the job of feeding Hawaii comes down to AMD’s fastest memory bus to date. With 280X and other Tahiti cards already shipping with a 384-bit memory bus running at 6GHz – and consuming quite a bit of die space to get there – to increase their available memory bandwidth AMD has opted to rebalance their memory configuration in favor of a wider, lower clockspeed memory bus. For Hawaii we’re looking at a 512-bit memory bus paired up with 5GHz GDDR5, which brings the total amount of memory bandwidth to 320GB/sec. The reduced clockspeed means that AMD’s total memory bandwidth gains aren’t quite as large as the increase in the memory bus size itself, but compared to the 288GB/sec on 280X this is still an 11% increase in memory bandwidth and a move very much needed to feed the larger number of ROPs that come with Hawaii. More interesting however is that in spite of the larger memory bus the total size of AMD’s memory interface has gone down compared to Tahiti, and we’ll see why in a bit. At the same time because AMD’s memory interface is so compact they’ve been able to move to a 512-bit memory bus without requiring too large a GPU. At 438mm2 and composed of 6.2B transistors Hawaii is still the largest GPU ever produced by AMD – 18mm2 bigger than R600 (HD 2900) – but compared to the 365mm2, 4.31B transistor Tahiti AMD has been able to pack in a larger memory bus and a much larger number of functional units into the GPU for only a 73mm2 (20%) increase in die size. The end result being that AMD is able to once again significantly improve their efficiency on a die size basis while remaining on the same process node. AMD is no stranger to producing these highly optimized second wind designs, having done something similar for the 40nm era with Cayman (HD 6900), and as with Cayman the payoff is the ability to increase performance an efficiency between new manufacturing nodes, something that will become increasingly important for GPU manufacturers as the rate of fab improvements continues to slow. Moving on, let’s quickly talk about power consumption. 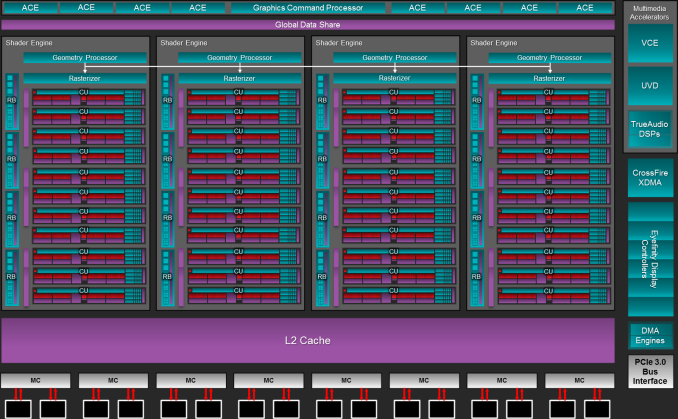 With Hawaii AMD has made a number of smaller changes both to the power consumption of the silicon itself, and how it is defined. On the tech side of matters AMD has been able to reduce transistor leakage compared to Tahiti, directly reducing power consumption of the GPU as a result, and this is being paired with changes to certain aspects of their power management system, with implementing advanced power/performance management abilities that vastly improve the granularity of their power states (more on this later). However at the same time how power consumption is being defined is getting far murkier: AMD doesn’t list the power consumption of the 290X in any of their documentation or specifications, and after asking them directly we’re only being told that the “average gaming scenario power” is 250W. We’ll dive into this more when we do a breakdown of the changes to PowerTune on 290X, but in short AMD is likely underreporting the 290X’s power consumption. Based on our test results we’re seeing 290X draw more power than any other “250W” card in our collection, and in reality the TDP of the card is almost certainly closer to 300W. There are limits to how long the card can sustain that level of power draw due to cooling requirements, but given sufficient cooling the power limit of the card appears to be around 300W, and for the moment we’re labeling it as such. Finally, let’s talk about pricing, availability, and product positioning. As AMD already launched the rest of the 200 series 2 weeks ago, the launch of the 290X is primarily filling out the opening at the top of AMD’s product lineup that the rest of the 200 series created. The 7000 series is in the middle of its phase out – and the 7990 can’t be too much farther behind – so the 290X is quickly going to become AMD’s de-facto top tier card. The price AMD will be charging for this top tier is $549, which happens to be the same price as the 7970 when it launched in 2012. This is about $100-$150 more expensive than the outgoing 7970GE and $250 more expensive than 280X, with the 290X offering an average performance increase over 280X of 30%. 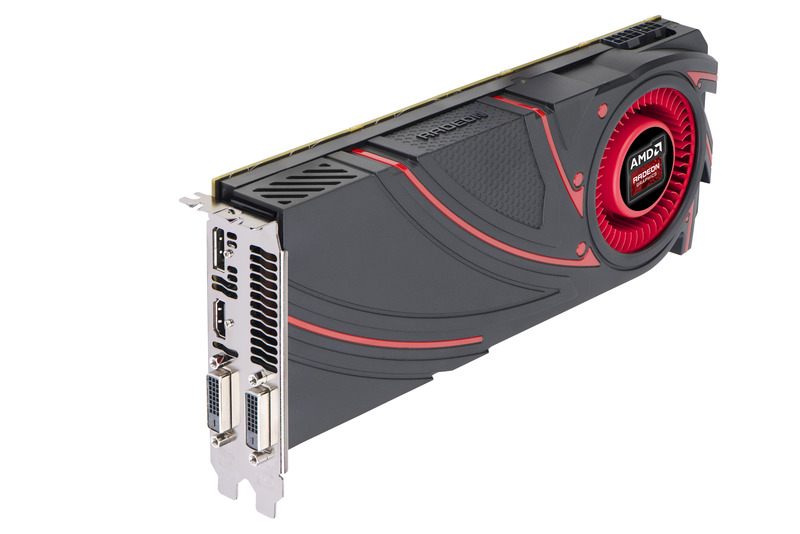 Meanwhile when placed against NVIDIA’s lineup the primary competition for 290X will be the $650 GeForce GTX 780, a card that the 290X can consistently beat, making AMD the immediate value proposition at the high-end. At the same time however NVIDIA will have their 3 game Holiday GeForce Bundle starting on the 28th, making this an interesting inversion of earlier this year where it was AMD offering large game bundles to improve the competitive positioning of their products versus NVIDIA’s. As always, the value of bundles are ultimately up to the buyer, especially in this case since we’re looking at a rather significant $100 price gap between the 290X and the GTX 780. Finally, unlike the 280X this is going to be a very hard launch. As part of their promotional activities for the 290X retailers have already been listing the cards while other retailers have been taking pre-orders, and cards will officially go on sale tomorrow. Note that this is a full reference launch, so everyone will be shipping identical reference cards for the time being. Customized cards, including the inevitable open air cooled ones, will come later.